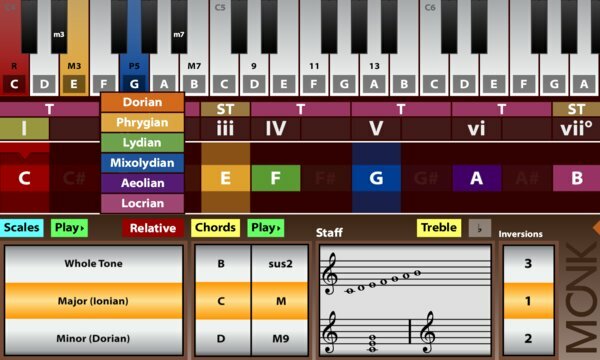 ✓ Great Scale and Chord Library. ✓ Find all the scales that contain a specific chord. 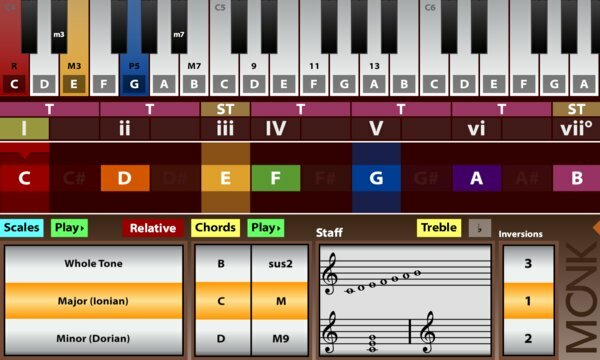 ✓ Find all the chords that exist in a specific scale. ✓ Polyphonic and Multitouch Piano. ✓ Intervals and degrees visualization. ✓ Support for Chord Piano Inversions. ✓ Support for alterations ambiguity resolution. ✓ Staff for Scales, Chords and Key Signatures. ✓ UI sound effects added.